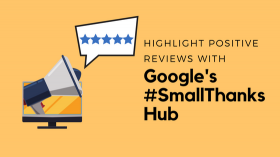 A well-maintained social media campaign should invite client related reviews to your site, but what happens when you feel a recent review could prove damaging to your online reputation and quite honestly you find yourself strongly disagreeing with the content finding it’s home on one of your Google marketing platforms? As a leader in the industry Google presents options for such products as Google+, YouTube, and Blogger to post and share personalized content but due to the massive uploading of online submissions, Google does not involve itself in the prescreening of content but relies heavily on it’s users to monitor and flag any material deemed inappropriate. To thwart this type of situation it is important for members of the legal community to delegate systematic monitoring of all social media content either by a designated staff member or an experienced online marketing firm. Words cut deep and while Google provides policies and procedures to review damaging content the tarnishing of your online reputation may have already occurred. If you think about it for a moment or two, it is bit of an odd name. With projected growth estimated at 19.92 percent for 2014, this global marketing leader has managed to formidably scribe it’s name into our business vocabulary of today. With Google+ - Local Page Optimization, attorneys wanting to increase their local internet visibility carefully design a local profile page and then choose optimized key words that positions their practice respectfully on Google's Search Engine Results Page (SERP) for a specific geographical area.